Put our promotional copy to work for you. Whether you are dancing under the lights of the Fremont Street Experience in Downtown Las Vegas or strolling the shops at Monte Lago Village at Lake Las Vegas, you are never far from a golf course. The forty-plus golf courses in Las Vegas, designed by the likes of Jack Nicklaus, Pete Dye, Tom Weiskopf and Robert Trent Jones Jr., have put Vegas on the map for golf connoisseurs. Each course is within a one-hour radius of the city, offering challenging play and beautiful desertscapes, flowing waterfalls, rolling greens and mountain views. No longer the domain of women, the spa experience has arrived in Las Vegas. Home to 5 Forbes 5-Star Spas, more than any other city in the country, Las Vegas resorts offer the most luxurious and varied spa experiences anywhere, from The Spa at Encore and Spa at Wynn Las Vegas to the scenic Waldorf Astoria Spa; The Spa at Four Seasons and ESPA at Vdara. 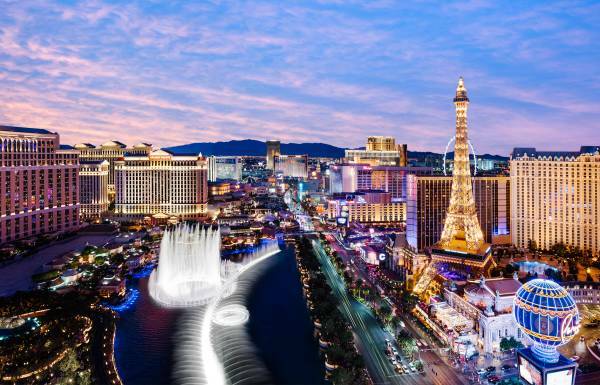 While planning an evening of entertainment, look to the growing roster of gourmet restaurants and unparalleled wine and food adventures in Las Vegas. A host of fine dining and lifestyle magazines - including Bon Appetit, Wine Spectator, Gourmet, Robb Report and Esquire - have honored the city for its fantastic fare and hailed individual restaurants for their exquisite cuisine, created by the likes of Hubert Keller, Alain Ducasse, Emeril Lagasse, and Wolfgang Puck. To accompany its growing list of world-class chefs, Las Vegas has attracted more master sommeliers than any other U.S. city. 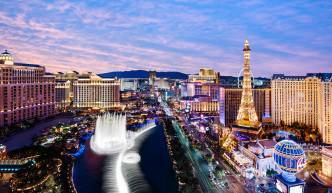 There are many reasons why Las Vegas commands the title as "The Entertainment Capital of the World." Some of the world's most exciting and versatile entertainers have performed here including Celine Dion, Gwen Stefani, Jerry Seinfeld, Jay Leno, and so many more. And popular touring Broadway shows stop at the Smith Center for the Performing Arts in downtown Las Vegas. Other entertainment options include A-list headliners like Brad Garrett, Ray Romano, and Kevin James who regularly bring their shows to Las Vegas showrooms and arenas; as well as several resident Cirque du Soleil productions, comedy clubs, magicians, classic Las Vegas showgirl revues, and more. The city famous for having "something for everyone" furthers the proof to its claim when the sun goes down. After dinner, your clients can experience a variety of night spots with personalities as varied as their own. From elaborately themed clubs to the new wave of upscale "ultra lounges" sweeping the Strip, attendees can choose from a wide array of offerings, Tao (The Venetian). Surrender (Wynn Las Vegas) is nightclub by night and dayclub by day, while there are several different venues downtown that brings nightlife and music to the Fremont East Entertainment District, including Commonwealth with a rooftop deck and speakeasy as well as Oak & Ivy, an intimate craft cocktail bar in the Downtown Container Park. With hip surroundings, signature drinks and an "anything goes" attitude, ultra lounges have redesigned Vegas nightlife, providing a new way to party on the Strip.